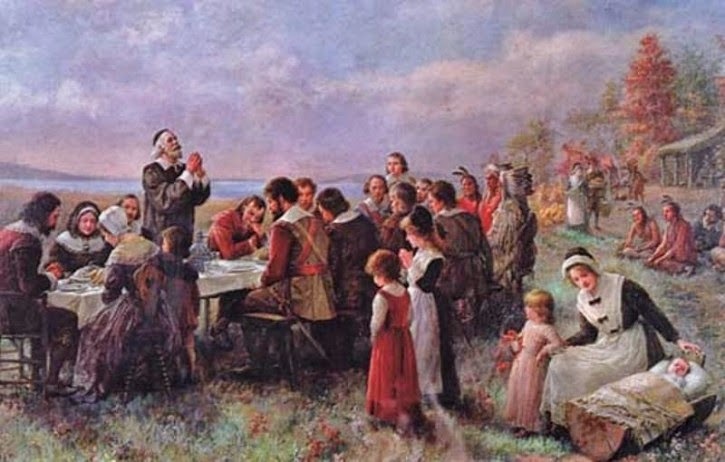 Thanksgiving is here again and many in the United States will give thanks for their abundant blessings before sharing a family meal with loved ones. Television shows will air episodes where the main characters will inevitably state how they are thankful for good friends, family and their contentment. Others around the world may also be prompted to reflect on the provisions and protection that has been afforded them. If you are reading this post, you have been blessed with modern conveniences such as a computer and the ability to tap into the largest collection of knowledge in history. I'm glad to see a momentary repose where individuals recognize that we live in a time unlike an other in human history. Most in the western world don't worry about whether they will eat today; they are more concerned with more the opaque concerns of perhaps how they can afford the extravagances of Christmas. But I recognize that in the very concept of thanksgiving, there's a tacit recognition of giver and receiver. In other words, if you are thankful for your present advantages, you must be thankful to someone. It makes no sense to say that you are thankful, but that thanks is attributed to the laws of nature. Imagine being thankful to gravity for holding you to the earth. Similarly, it makes no sense to be thankful to luck, for luck is simply a word we use to talk about an arbitrary outcome. There's no motivation behind luck; it is by definition purposeless and blind. To be thankful for purposelessness is silly. Giving thanks is in fact expressing the opposite of purposelessness—you are humbled by your advantages and acknowledge that someone provided the circumstances that allowed you to have such advantages. You are thankful that you were not merely left to the hard laws of nature and the fickle fate of purposelessness. That means that you must be thankful to a someone who has control over those aspects of your situation. You can be thankful to your employer for hiring you, since he or she controls who gets hired. But to be thankful for family, friends, and the blessings of the 21st century, that requires thanking a Someone who controls the very aspects of existence itself. By being thankful for such things, one must be thankful to God, for thanking anyone or anything else makes as much sense as thanking gravity or luck. So, be thankful today. And if you're thankful, remember that it is in itself evidence for the existence of God, for only He can provide the reason for which we do give thanks.